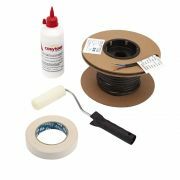 The Cosytoes 13m electric underfloor heating loose cable is a great option for irregular and awkward shaped floor areas. 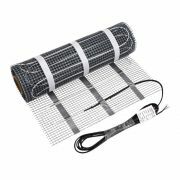 Perfect for small bathrooms, this electric underfloor heating cable will provide you with the luxury of a warm and cosy floor, so you won't have to dread stepping on to freezing cold tiles. The 3mm thick cable is adhered to the floor using the supplied fixing tape.